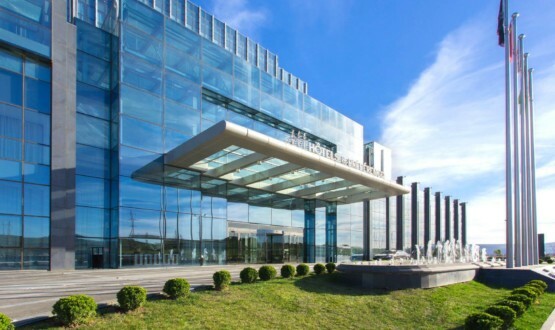 We want to remind you that our General Sponsor Hotels & Preference Hualing Tbilisi is targeting on Business Travel and MICE Tourism, and perfectly matches location standards: situated on the shorelines of famous Tbilisi Sea, the hotel is only 10 minutes away from Tbilisi International Airport. Besides, Hotels & Preference Hualing Tbilisi is a perfect gateway to clean, fresh air and a relaxing atmosphere that helps to lead to a fruitful working process. During two years of operation, the property has already gained a huge recognition in International Hospitality Industry. Hotels & Preference Hualing Tbilisi is honored to become “Luxury City Hotel 2016”, “Georgia’s Leading Business Hotel 2017”, “Luxury Wedding Destination 2017”, “Luxury Business Hotel 2017” and “Luxury Hotel and Conference Center 2017” on the most prestigious hotel awarding ceremonies.